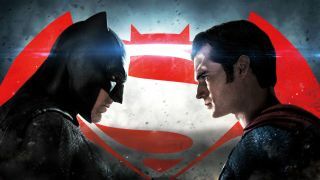 Fans of Zack Snyder's Batman v Superman: Dawn of Justice will not be wanting for new footage in the next couple months. In addition to the three-hour 'Ultimate Cut', the DVD and Blu-Ray will have over two hours of features to explore. Thanks to the Australian retailer JB HI-FI, we now have an idea of what the bonus content will focus on. We should note that this list has yet to be confirmed, and JB HI-FI have since removed it from their site. They do sound legit though, and if it does end up clocking in at two hours long that's a lot of bang for your buck. We'll doubtless get more details as the home entertainment release date nears. Directed by Zack Snyder and starring Henry Cavill, Ben Affleck, Diane Lane, Gal Gadot, Jesse Eisenberg, Jeremy Irons, Laurence Fishburne, and Amy Adams, Batman v Superman: Dawn of Justice will be available on DVD and Blu-Ray later this year.